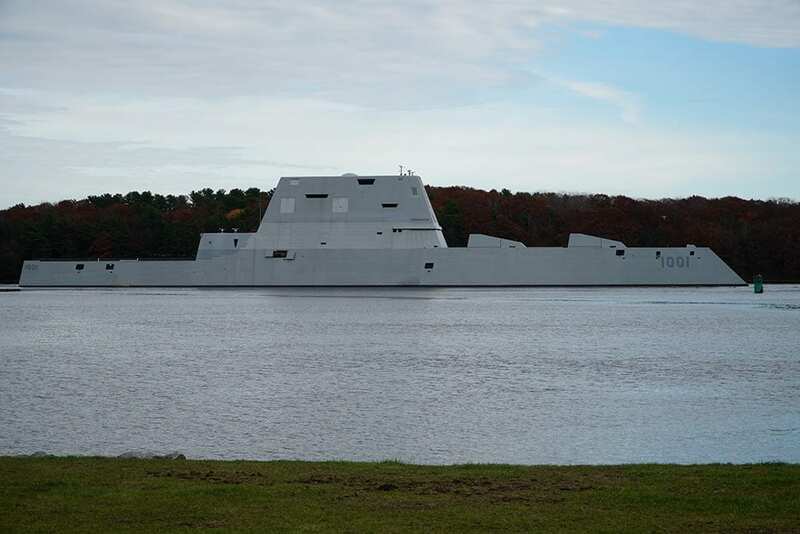 The Navy’s newest Zumwalt-class destroyer, the future USS Michael Monsoor (DDG 1001), will be commissioned at 10:00 a.m. on Saturday, Jan. 26 at Naval Air Station North Island. This event is open to the public, but tickets are required. Capt. Scott Smith is the commanding officer of the ship and leads the core crew of 148 officers and enlisted personnel. The nearly 16,000-ton Michael Monsoor was built by General Dynamics Bath Iron Works in Bath, Maine. The ship is 610 feet in length, has a beam of 87 feet, and a navigational draft of 27 feet. The ship is powered by two Rolls-Royce main turbine generators, two Rolls-Royce auxiliary turbine generators, two 34.6 MW advanced induction motors to speeds up to 30-plus knots. Zumwalt-class destroyers are the most lethal and sophisticated destroyers ever built. They provide deterrence and forward presence by bridging today’s innovation with future technology. Zumwalt-class destroyers maximize stealth, size, power and computing capacity -fielding an array of weapons systems and cutting-edge technologies to fight forces in the air, on and under the sea, and on land. USS Michael Monsoor will be homeported at Naval Base San Diego, California. For those unable to attend, the ceremony will be live-streamed at: http://www.navy.mil/ah_online/live/ah-live.asp. The link will become active approximately five minutes prior to the event (9:55 a.m. PST).